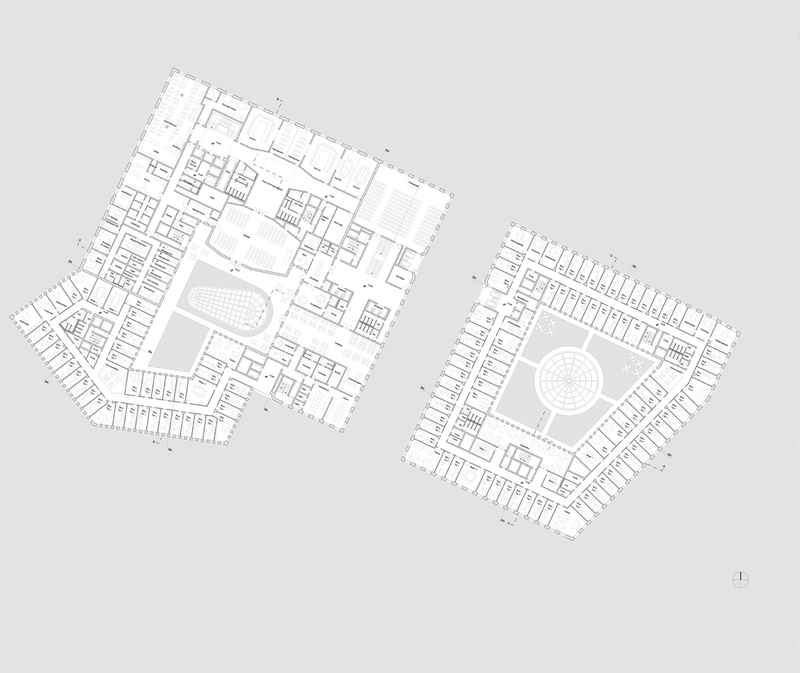 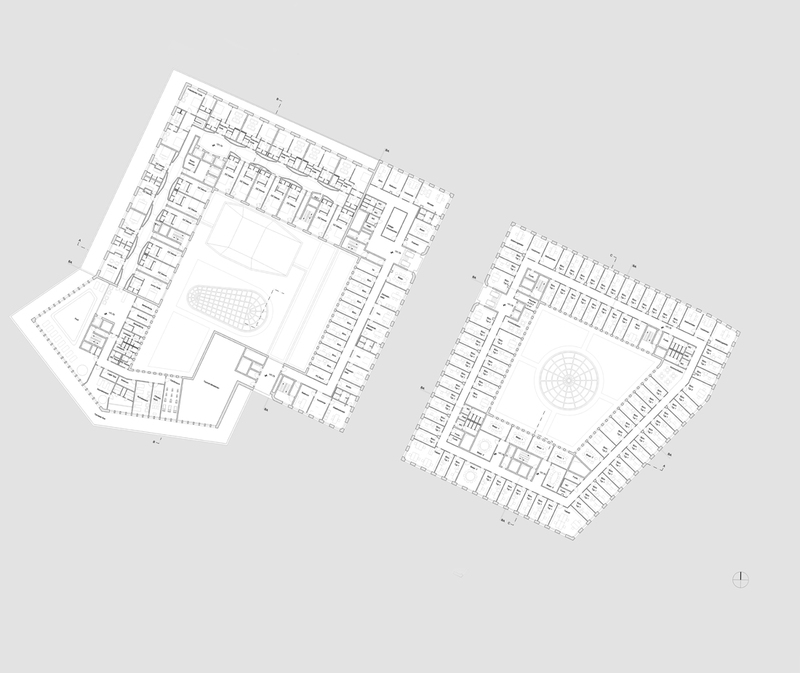 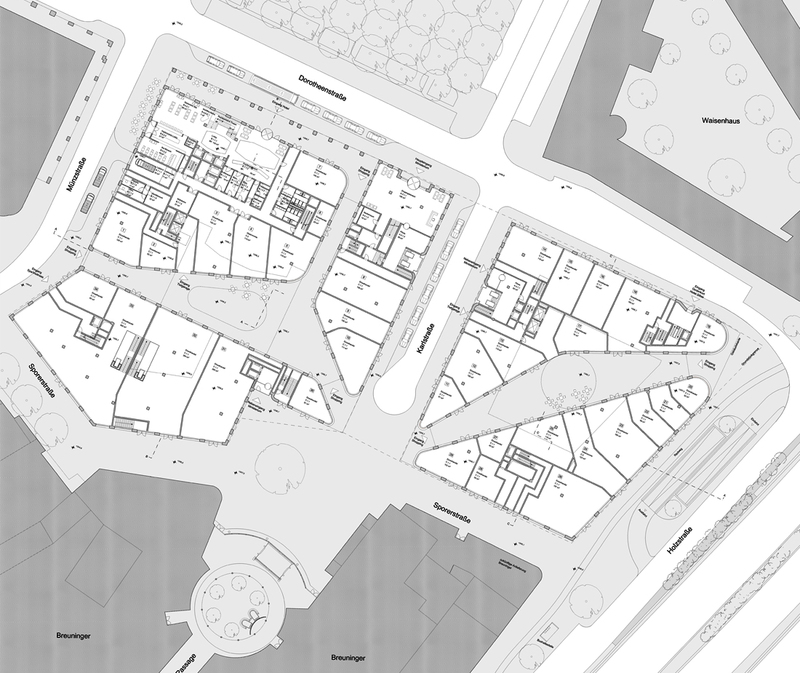 The integration of the quarter at Karlsplatz into the existing urban structure is achieved through sensitive and discreet adoption of building edges and eaves heights of the adjacent buildings, which are taken into account in the design. 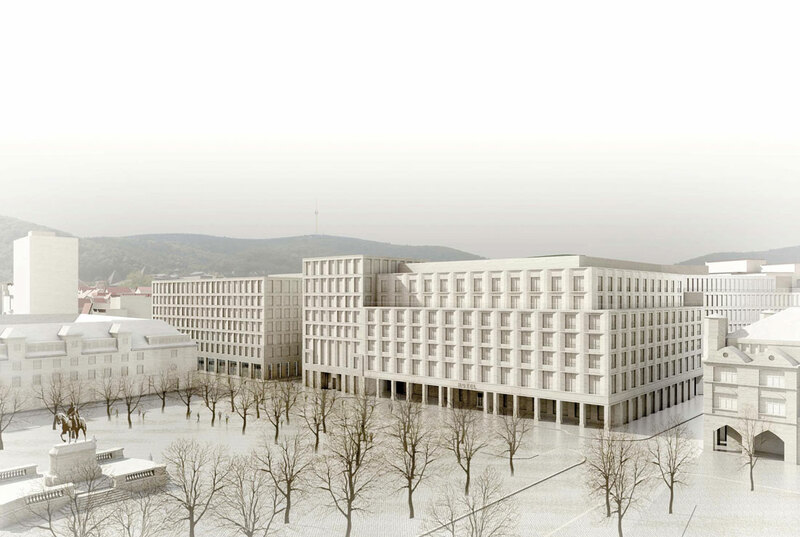 This is accomplished, for example, by the horizontally banded base, which extrudes 10 cm forward from the upper facade level and takes up the eaves heights of the orphanage in Dorotheenstraße. 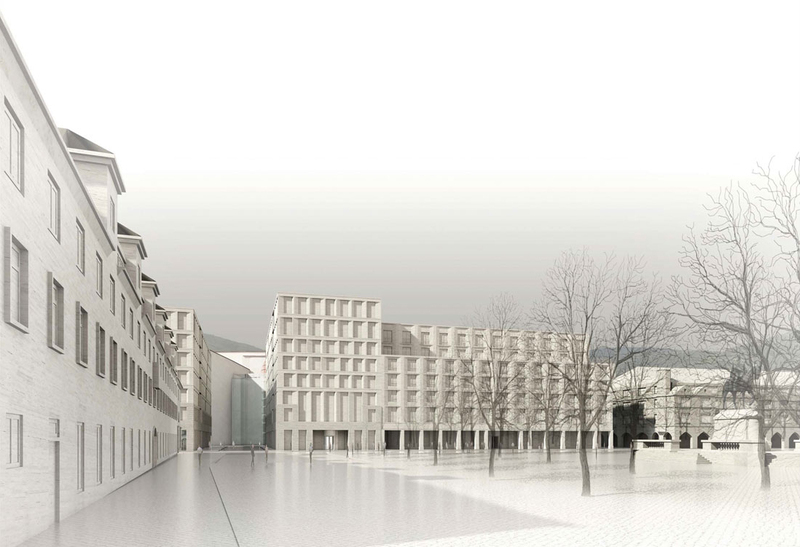 Along the corner of Hauptstädter Straße and Sporerstraße, the base mediates between the building heights of the Breuninger Building and the orphanage.